Our thinking about morality is often that it is some kind of divine spark in humans, or something spiritual that comes from within. But what if it is merely a set of habits that developed as we evolved, a set of rules that originated and persisted because they helped societies to survive? If a set of moral values make it possible for societies to function, then it stands to reason that societies would universally value them. This perspective on codified cooperation is called “mutualism,” and it finds what may be definitive support in a recent broad-based survey conducted by a team from Oxford University’s Institute of Cognitive and Evolutionary Anthropology (Curry, Mullins, & Whitehouse, 2019). 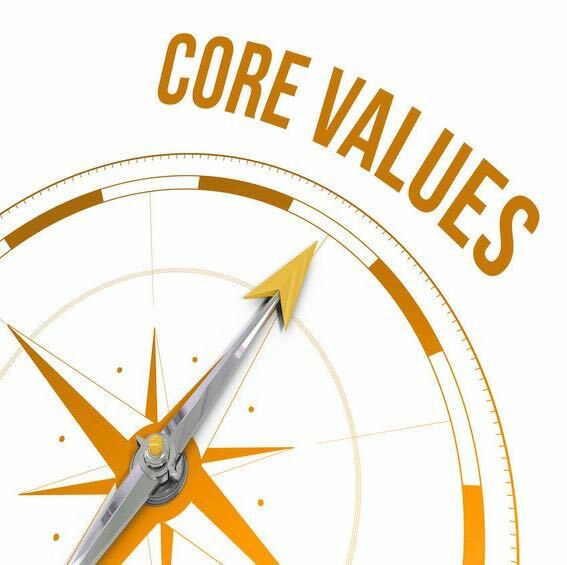 Based on a global anthropological study of sixty distinct cultures, the team found seven moral rules supported by all cultures, with no exceptions. The rules are the following: 1) Help your family, 2) Help your group, 3) Return favors, 4) Be brave, 5) Defer to superiors, 6) Divide resources fairly, and 7) Respect others’ property. While different cultures will emphasize and prioritize these rules differently, they will support all of them. The team was not able to find a culture in which any of these moral rules was not upheld in some form, or was considered to be a bad thing. As quoted in a recent ScienceDaily release, the lead researcher, Dr. Oliver Curry, summarized, “The debate between moral universalists and moral relativists has raged for centuries, but now we have some answers. People everywhere face a similar set of social problems and use a similar set of moral rules to solve them. As predicted, these seven moral rules appear to be universal across cultures. Everyone everywhere shares a common moral code. All agree that cooperating, promoting the common good, is the right thing to do.” Because a courtroom is, in practice, an arena not just for applying the law, but also for enforcing what is considered to be the “just” and “right,” it is worthwhile to think about how these seven universals might function in a litigation context. In this post, I’ll briefly consider each of them. The idea of returning favors is more broadly the idea of reciprocity. And the idea of giving like for like is found in the “Golden Rule,” which of course lawyers cannot explicitly invoke, but which jurors tend to apply anyway. Treating others as you would like to be treated is the reciprocal foundation of ethics, and if someone helps you, then you owe a small debt to help them as well. I think this is a basis for understanding how jurors see contracts and other forms of interaction. But I also think it is a basis for understanding some forms of persuasion. One of the reasons businesses will often give you a “free gift” is that they want you to feel subtly indebted. You cannot give jurors a free lunch or a refrigerator magnet, but you can help them wherever possible. Attorneys and witnesses should embrace the idea of teaching jurors, not just because you want to be in charge of the direction of that education, but also because you want their jobs to be as easy as possible. If they see you as having helped them with their difficult task, then in a small way, they might return the favor. It is easy to see why bravery might be a universal value established through the evolution of societies: We just might need a hero, so we value that trait, and might even strive to be one. On the heroism front, I think there is something ennobling about jury duty in the first place. Jurors face the challenge of rising up against any prior beliefs and biases, and working to set those aside in order to reach a fair, neutral, and legally appropriate decision. There is a certain bravery in approaching that, and attorneys can appeal to the temporary identity that jurors adopt in the process by encouraging jurors to embrace that role and that challenge, and to be proud of the hard work that is involved in following the case and staying neutral. Attorneys, for their part, can also be brave in pressing for some of the reforms that can make that easier, reforms like juror note-taking, predeliberations, and instructions prior to evidence, for example. While cultures differ in how hierarchical they are, it stands to reason that all societies would need leadership of some form, and that is why the researchers would see some kind of deference to authority in all societies. Valuing that deference is a way of valuing the continued ability to stay organized and protected. If the bright side of this is effective leadership, then of course, the dark side of it is authoritarianism. The psychological trait that tends to exaggerate this deference is also a common trait, and one that matters in litigation. Studied over the past couple of generations, authoritarianism has been found to cause jurors to support instructions they may not personally favor, to focus on black-and-white findings of blame rather than distributing responsibility, and to favor the party that is perceived to have the greater social power in any given case. The idea of sharing is also a basic value that cuts across cultures. It doesn’t necessarily include the idea the resources are divided equally, but instead emphasizes the idea that they’re divided in a way that seems fair and just. That is the notion of equity, and it is also at the heart of interpretations about contract and business relationships. When jurors evaluate a contract case, for example, it is a matter of interpreting what the contract demands, but jurors’ view of what the contract requires will be driven by their own notions of what is equitable. That is, there is a strong gravitational pull toward deciding that “what’s fair” is also “what’s legal.” So it helps to think about how a verdict in your favor is also a verdict that creates or restores equity in this situation. Even while societies favor fairness in resource allocation, they also apparently favor the concept of ownership and respect for property. The Oxford team, at least, did not find the perfectly egalitarian society where everything is owned in common. So, we might expect that notions of autonomy, property rights, and privacy will figure strongly in individual views of what is fair and what is required by law. For example, in a patent trial, for one side, the ability to protect one’s own invention is a kind of property, and for the other side, the ability to compete fairly is also a kind of property. When the respective parties emphasize that dimension, it elevates the dispute above the purely technical dimensions of the patent language.